Male, March 19 (IANS) India and the Maldives have reiterated support for each other in a number of areas of mutual interests including combating terrorism, while Maldives vowed to remain “sensitive” towards Indias strategic interests in the Indian Ocean Region (IOR). “Minister Shahid reiterated his government’s ‘India First Policy’ and said that his government looks forward to working closely with India on all issues. 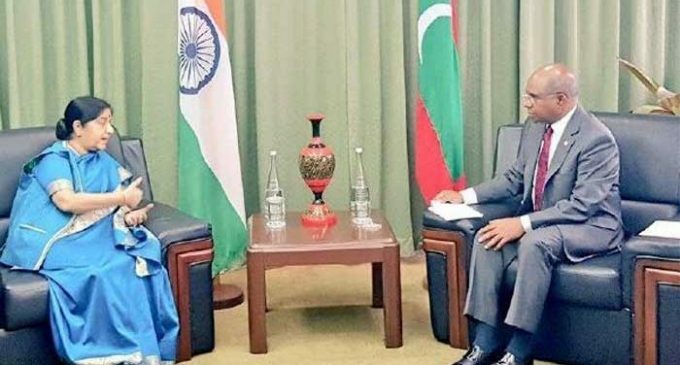 He also reiterated that the Maldives would remain sensitive towards India’s security and strategic concerns,” the joint statement after their meeting said on Monday. Sushma Swaraj said that in line with her government’s “Neighbourhood First” policy, India stands ready to fully support Maldives in its socio-economic development. Both Foreign Ministers agreed on the importance of maintaining peace and security in the IOR, and to strengthen coordination in enhancing regional maritime security. While Sushma Swaraj thanked the Maldives for its steadfast support against terrorism, in all its forms and manifestations, Shahid expressed his country’s commitment to support efforts to combat terrorism, particularly cross-border terrorism, and crimes such as piracy, organized crime, narcotic drugs and human trafficking. They discussed the entire gamut of bilateral relations. 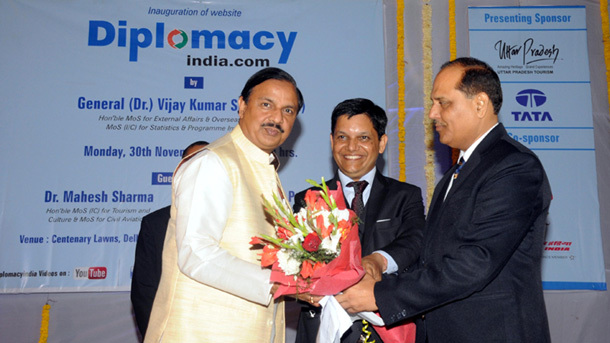 Minister Shahid also hosted a dinner in Sushma Swaraj’s honour on Sunday evening. Welcoming the increase in trade volume over the past few years, both Foreign Ministers agreed on the need to boost private sector involvement, and agreed to hold the Maldives-India Business Forum in 2019. During the visit, the two sides signed three agreements on visa relaxation, development projects and renewable energy. The Maldivian side requested Indian assistance for the construction of a cricket stadium. The Indian side agreed to positively consider the request. The Indian side appreciated the decision of the Maldivian side to provide land in Hulhumale for the Indian Embassy.